The Cincinnati Hill Climb Series is mid-way through its 33rd annual series, and you can be part of the last two climbs if you're up for the challenge. Described as "the most grueling sub-mile runs on the planet," the Hill Climb Series features short sprints up some of Cincinnati's steepest inclines. The third climb takes place this Sunday, November 16th at 9am and will feature Hill Street in Mt. Adams. The climbs are sponsored by Hudy Delight and always provide plenty of liquids following the race. The Hill Street climb will end at neighborhood favorite Crowley's for an awards ceremony. 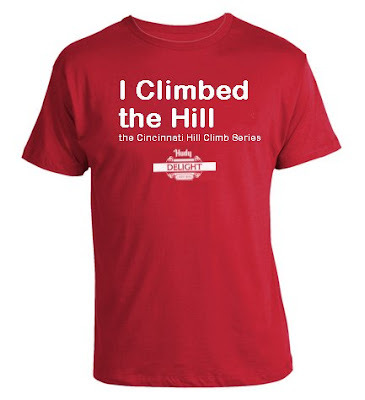 The climbs require a $10 registration fee, or a $20 fee if you wish to receive a fashionable Hill Climb Series t-shirt. All proceeds, of the climbs, go to the Cincinnati Soap Box Derby. You can either register online, or find registration materials at Cincinnati area running stores. The final climb of the year will be on Straight Street near the University of Cincinnati on November 23rd. So get registered soon so that you don't miss out on this great tradition of climbing Cincinnati's best hills and raising money for another great local cause.